One of the best-selling books of all time is about “How to Win Friends and Influence People” so it’s no surprise that influencers have become such a powerful force on social media. 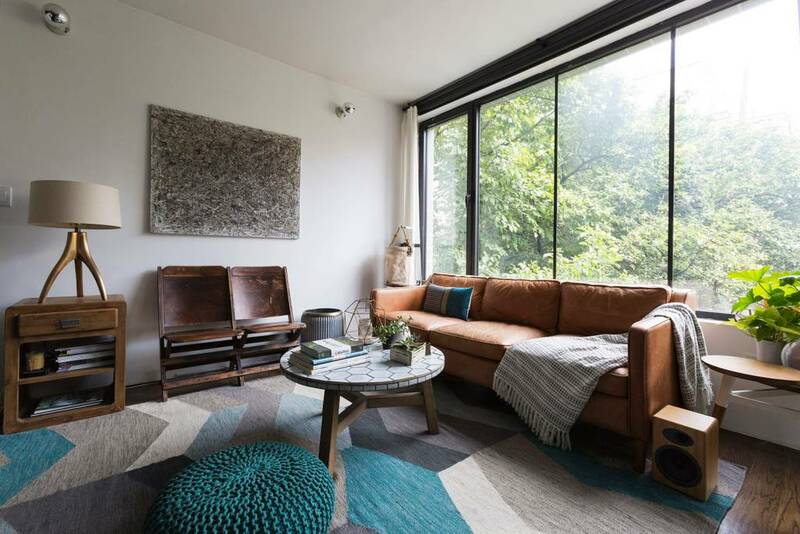 Instagram accounts these days are almost as gorgeous as professional magazine spreads so it’s more important than ever for influencers to book Airbnbs that look fabulous online. 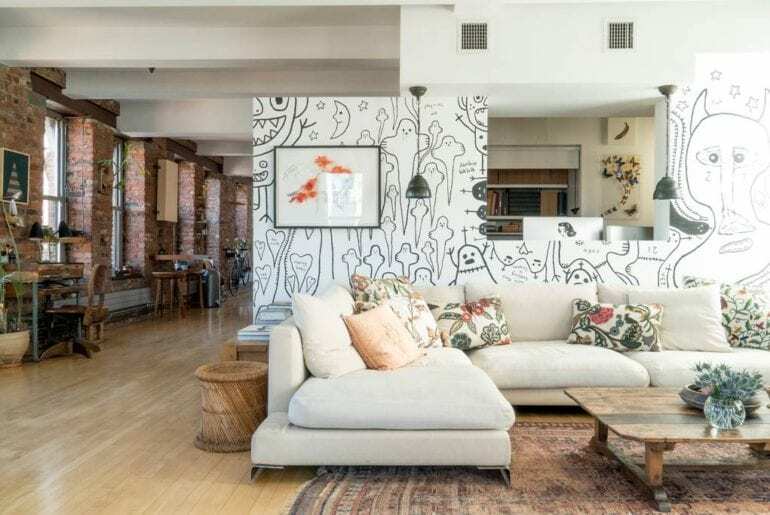 From stunning exposed brick to Beastie Boy wallpaper to views of the Empire State Building, all of these Airbnbs have features you’ll be proud to post! 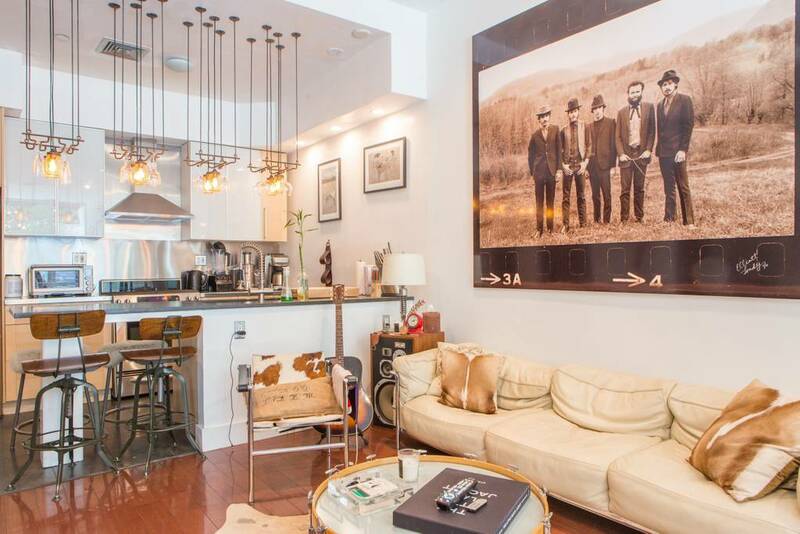 Here are 8 Brooklyn Airbnb properties for Influencers and Instagrammers! 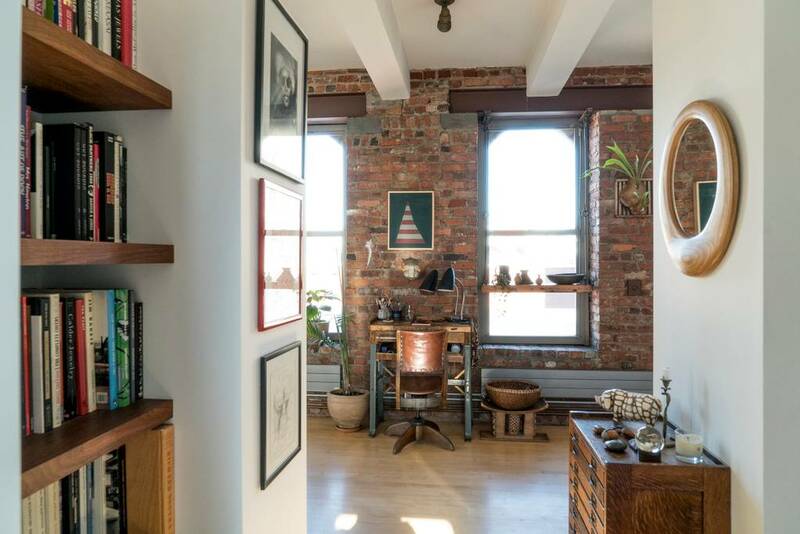 This Brooklyn Airbnb combines the laid back style of California (lots of succulents) with the hipster aesthetic of Brooklyn (a vintage typewriter). 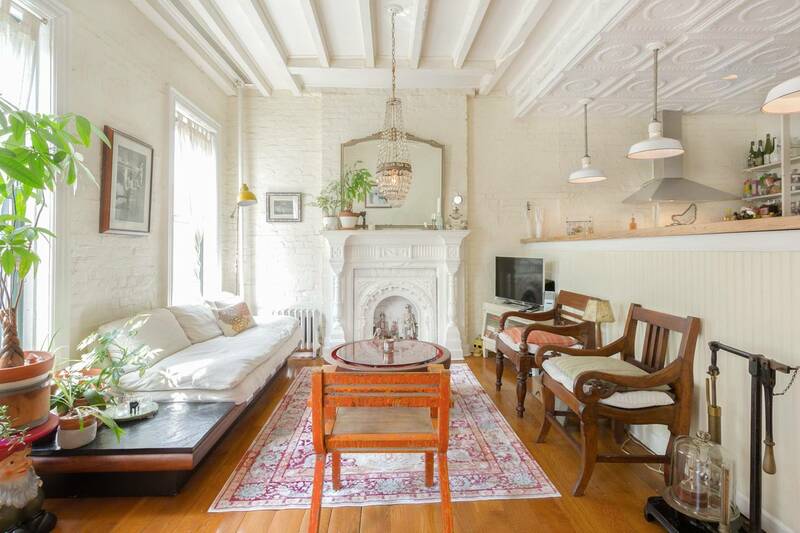 The owner of this Brooklyn Airbnb has spent two years refurbishing it and the work shows. 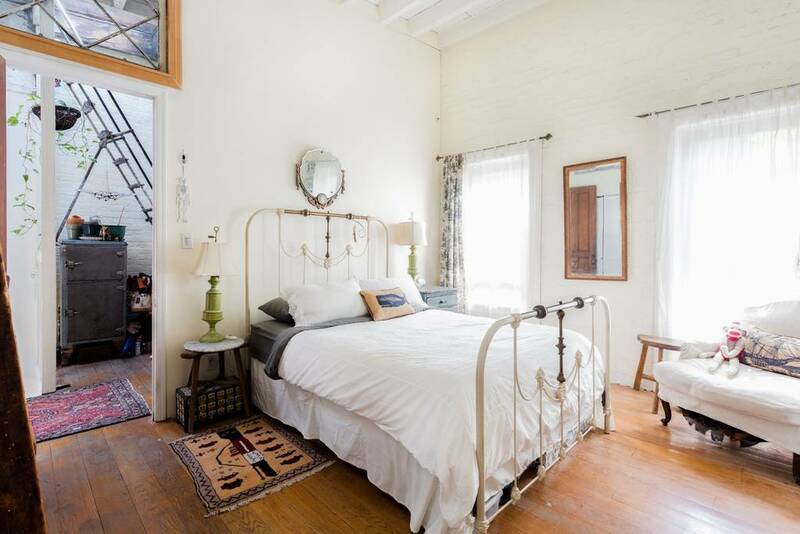 With two bedrooms and space for five guests, this $621 a night Brooklyn Airbnb actually works out to be a pretty good bargain. 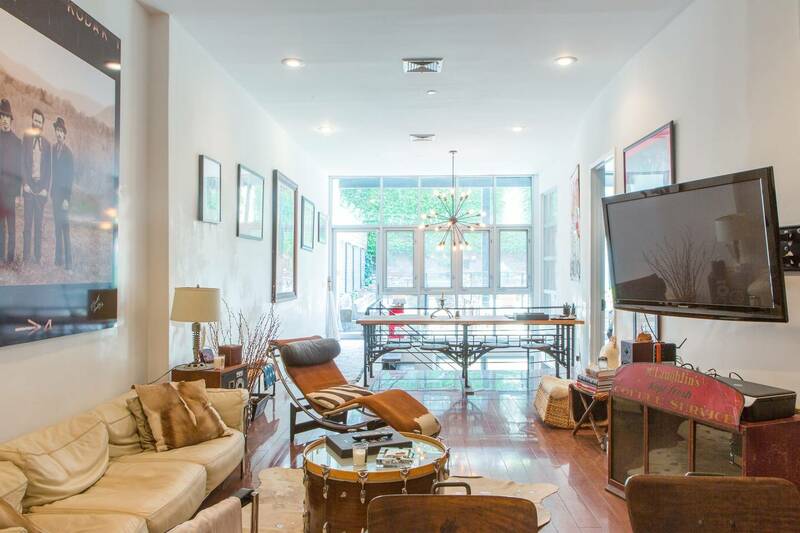 Located in Williamsburg, this fabulous space has floor-to-ceiling windows, two porches, a hammock, a theather projector, an honor bar, and hi-speed wifi. 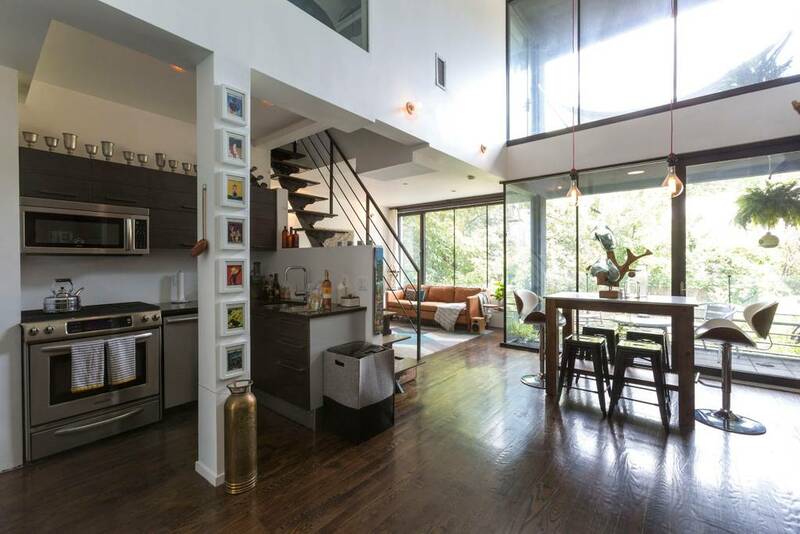 When you do venture out, you’ll be near McCarren Park, the Museum of Food and Drink, and even trapeze school! 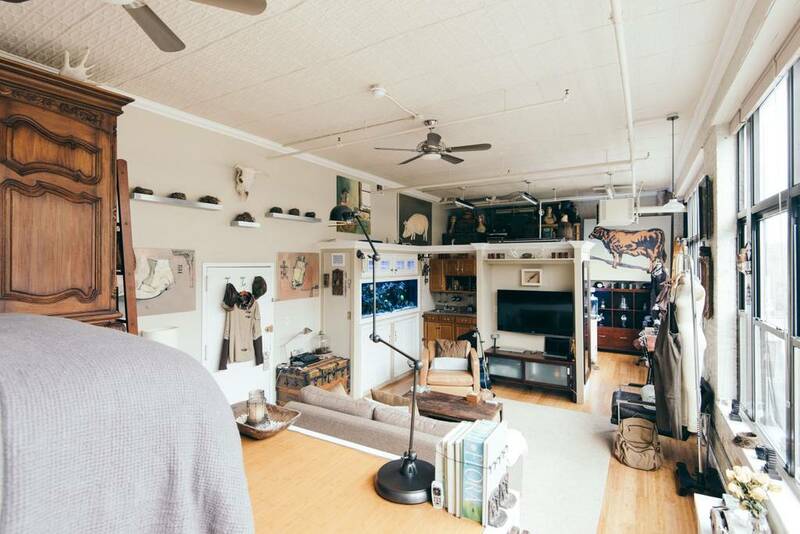 Given that there are New York apartments with literally no windows at all, it’s kind of incredible that there’s an Airbnb in Brooklyn with 30 of them! 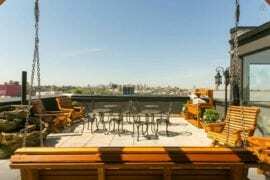 With views of the Empire State Building, Manhattan Bridge and the East River, this apartment also offers access to a roof deck so you can really get a sense of the city from high above. 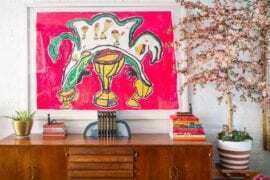 Used a lot for shoots, this space has an enormous dining area, fabulous exposed brick walls, a cool office area with a lot of vintage pieces, and a striking wall mural that looks a little like a Keith Haring. 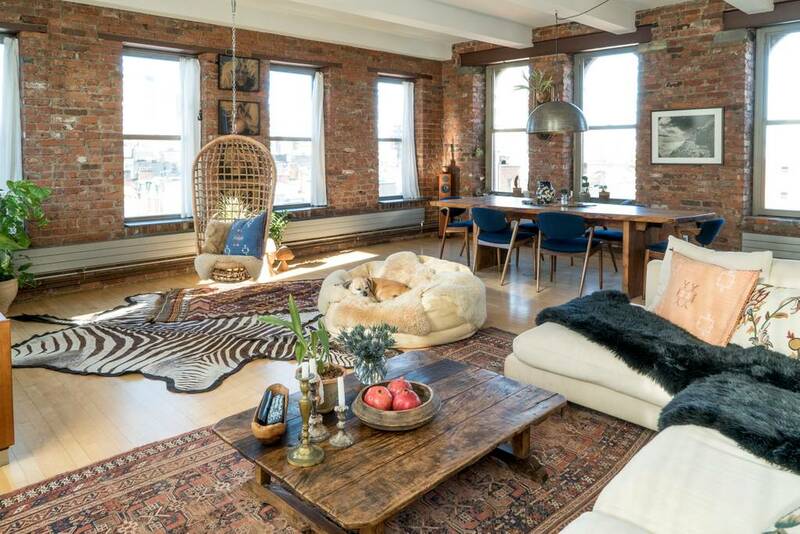 If you happen to be a food blogger, that kitchen is just made for Instagram and if you happen to be a fashion influencer, you’re going to look incredible in that wicker chair and let’s not even start on how that rooftop water tower is going to look! 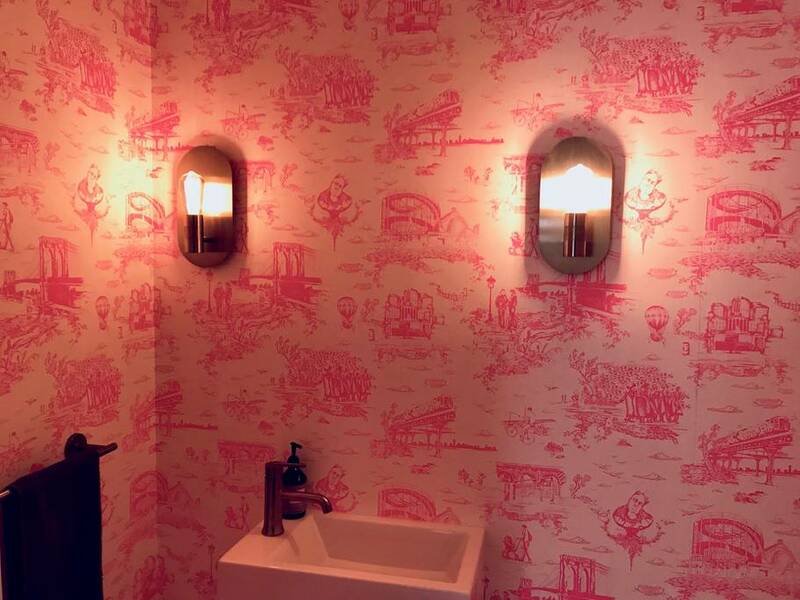 How’s this for Brooklyn hipness: The wallpaper in the bathroom of this Brooklyn Airbnb was designed by the Beastie Boys’ Mike D. A toile de jouy, it depicts life in urban Brooklyn, a culture you’ll soon be experiencing if you choose this Airbnb. 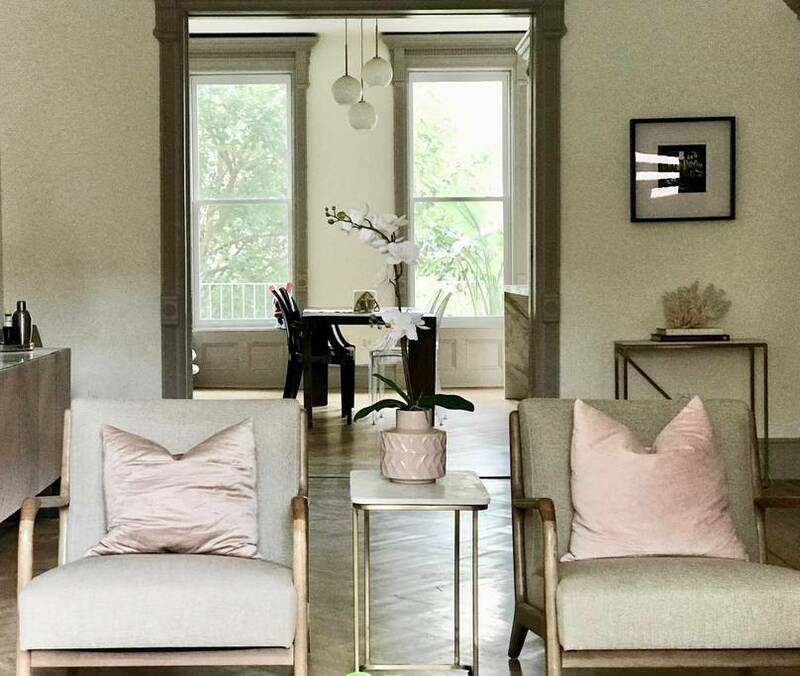 With an overall refined and sophisticated look, this brass and cream and marble home is perfect for some Instagram stories at the end of a long day of sightseeing. 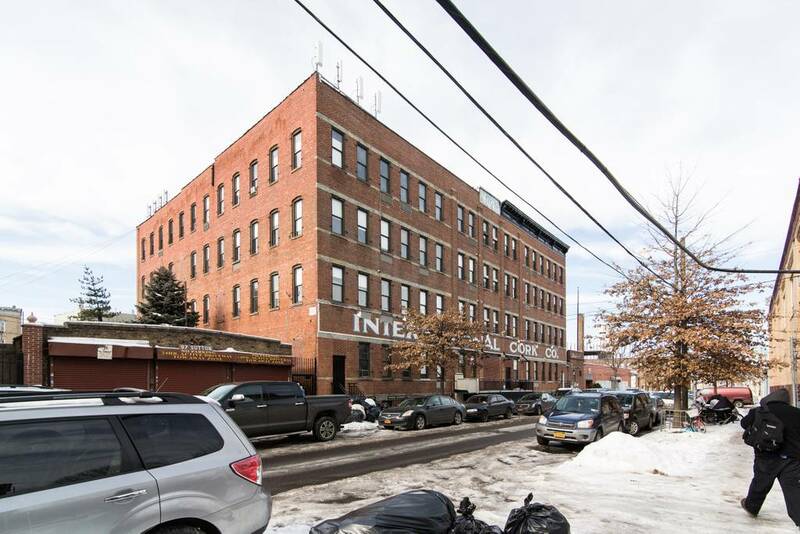 Located in the Stuyvesant Heights area, you’ll be near the Brooklyn Children’s Museum, Hightland Park, the Weeksville Heritage Center, and pretty close to the New York Transit Museum. And if you really want a unique experience, take a free kayak ride with the Red Hook Boaters who will provide a kayak for your use in exchange for a little beach clean up! If that doesn’t impress your followers, nothing will! 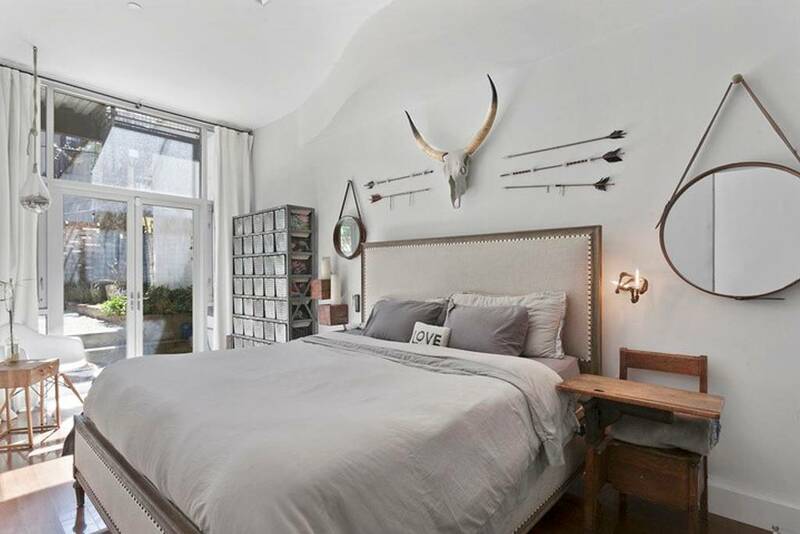 Is it us, or does this seem like this Brooklyn Airbnb would be perfect for a Project Runway finalist in the throes of getting together a collection ready for Tim Gunn to evaluate? Even if you’re not a PR finalist, this is still a great place to make your Instagram feed look incredible. 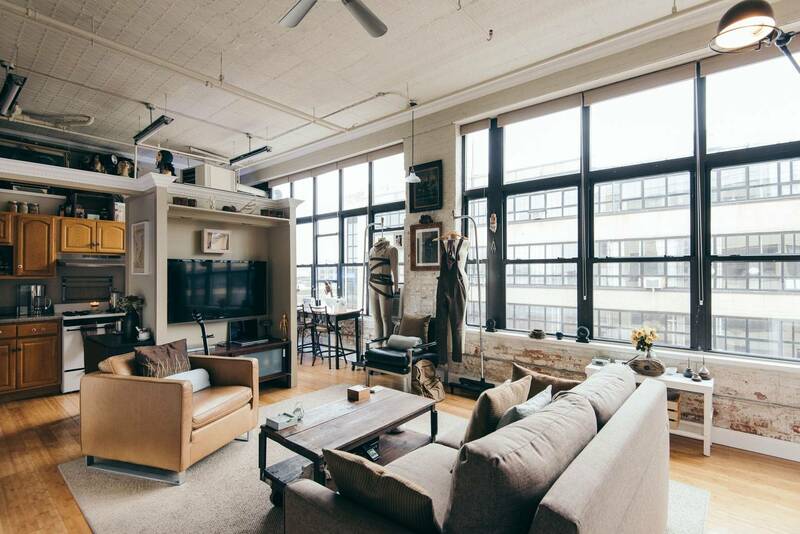 An unusually large loft space, the owner refers to it as his nest and it’s easy to see why. 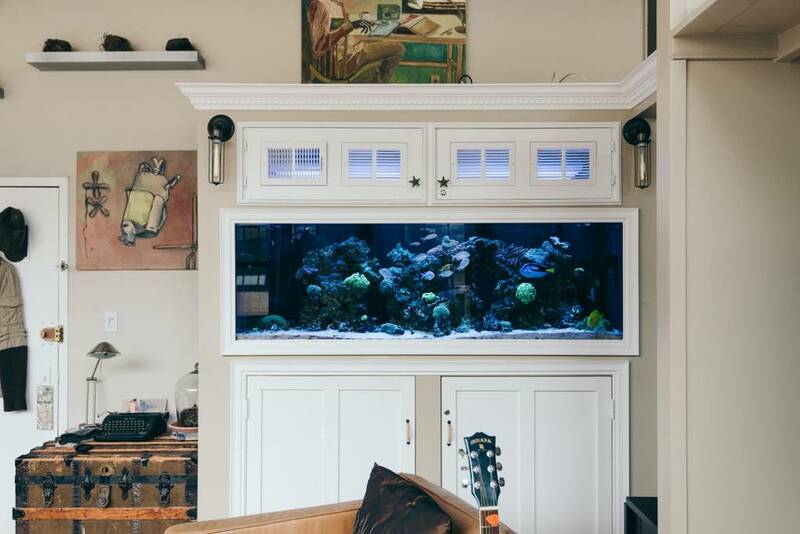 With a big, open plan living area, lots of cool trinkets and objects, and a sick coral reef tank in the middle of all of it, you will never, ever be at a loss for something to photograph. Be sure to check out Brooklyn Flea while you’re here, the Tiger Strikes Asteroid museum which always has great exhibits, and especially the Sketchbook Project which collects and catalogs thousands of artists’ sketchbooks. 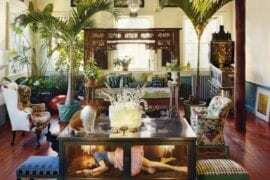 We certainly don’t need Tim Gunn to tell us that this place is a winner! 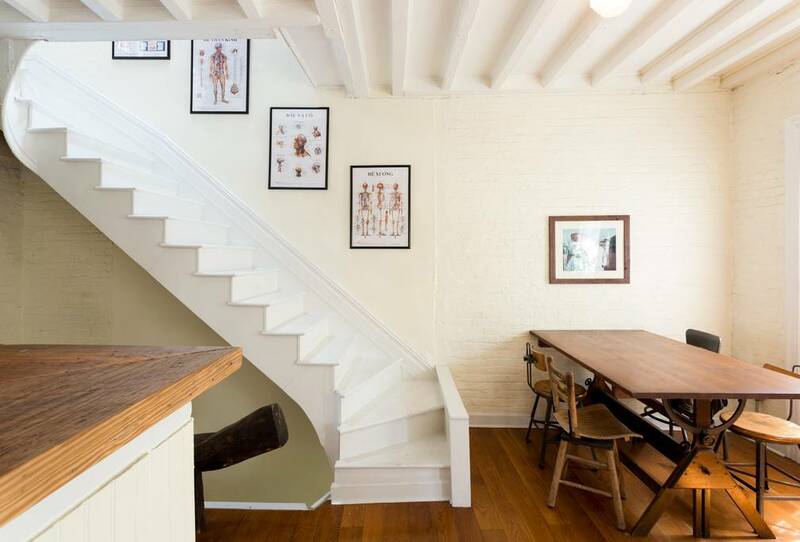 A little antique store, a little independent bookshop, and a touch of Joanna Gaines make up the feel of this adorable landmarked duplex in Greenpoint, Brooklyn. 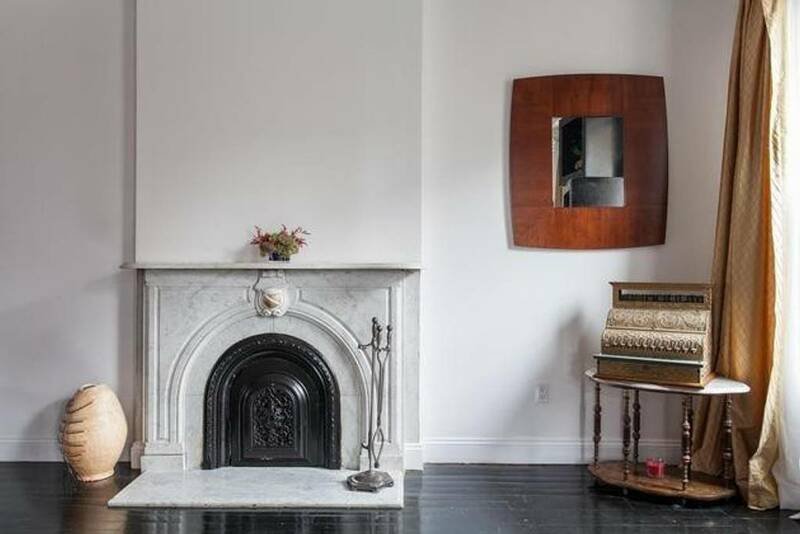 Featured in many international shelter magazines, this two-bedroom, two bath Victorian home is right on the waterfront, which means you can easily take the Greenpoint ferry to get into the city. 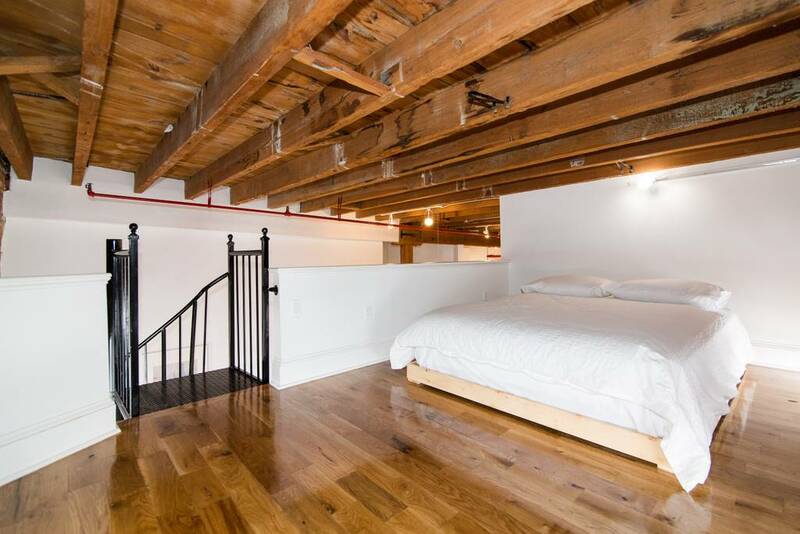 With a cute loft sleeping area, a clawfoot tub, and lots of black and white photography, this Airbnb has plenty of fun things to look at. 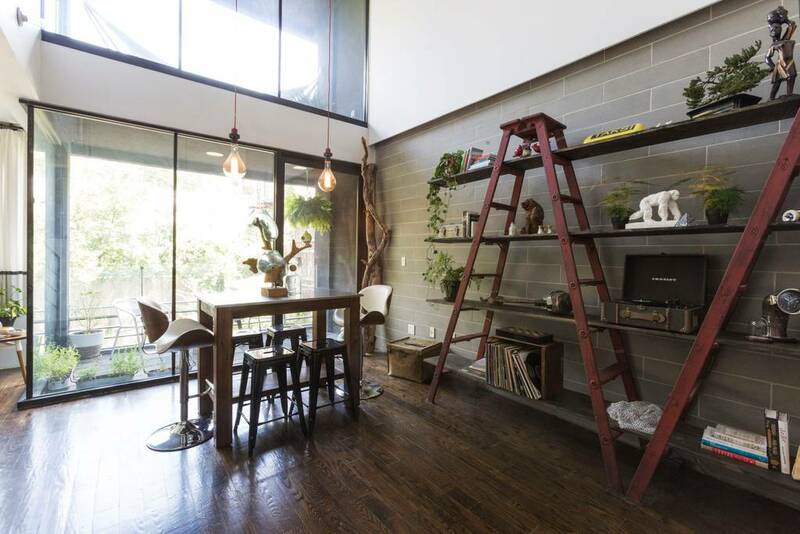 While the owner doesn’t allow photoshoots in the apartment, you can always use it as inspiration. 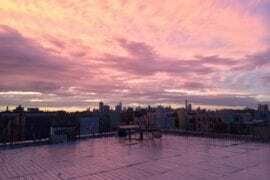 Also, it makes a perfect base for visiting Instagrammable locations like the Brooklyn Bridge, the Manhattan skyline, the local markets, or even the local bars. 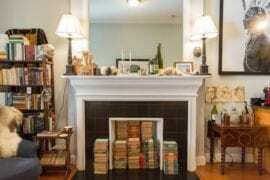 The owner is an antiques dealer who frequently swaps her inventory in and out of the apartment so don’t be shocked if it looks a bit different upon your arrival. 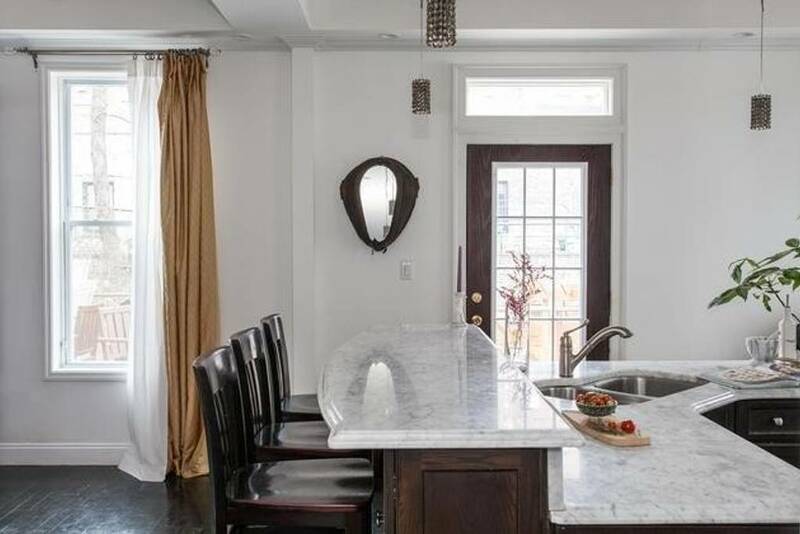 Although it looks vintage, there are plenty of modern amenities like a full kitchen with a gas stove and dishwasher, satellite cable & DVR, and of course, wifi. 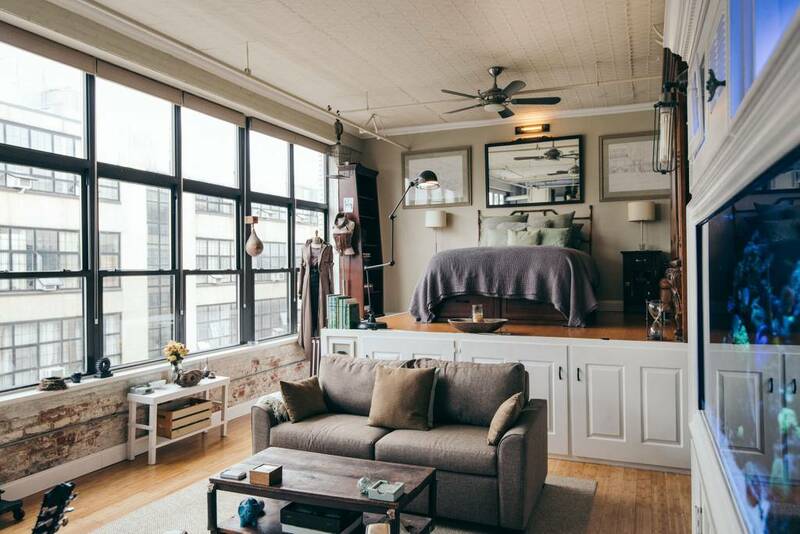 How would you like to see the New York skyline from your bed? 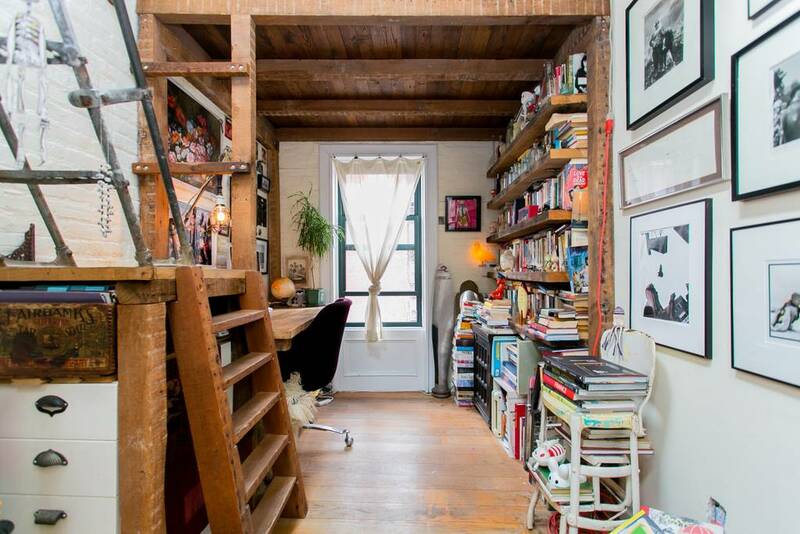 Well, you can in this Brooklyn Airbnb. While there’s not much in it, what there is, as they say, is choice, which is what makes it such a pleasant place to be. 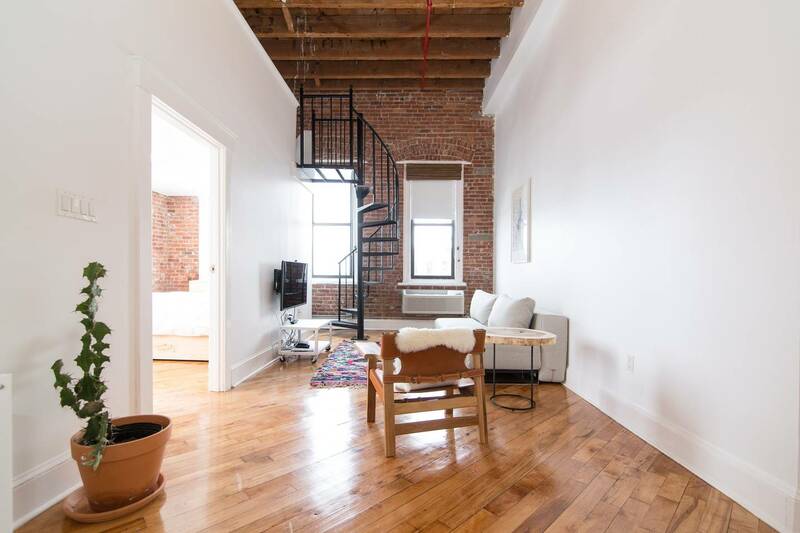 Light and airy, this exposed brick apartment with loft space has every necessary amenity you’ll ever need from a flat TV to a weekly cleaning service to a fully equipped kitchen, you’ll want for nothing. 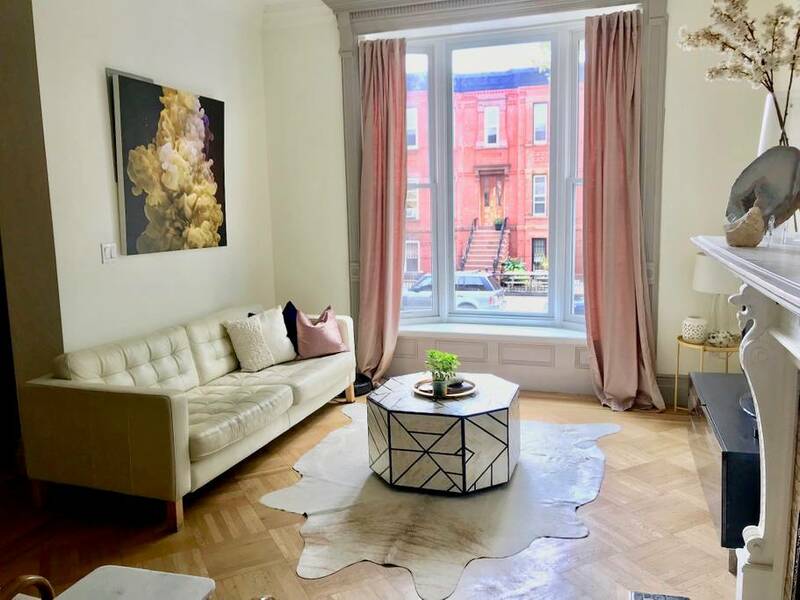 Located on an industrial street, you’ll be right near McCarren Park which has a running track if that interests you, the Museum of Food and Drink, McGolrick Park which has a fantastic farmers market, and the Brooklyn Zoo. The building is a 100-year-old converted factory and the apartment is full of art from Brooklyn-based artists. 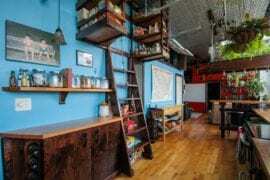 Even for Brooklyn, this place is about as Instagram ready as an Airbnb could be! Where do we even start with this place? 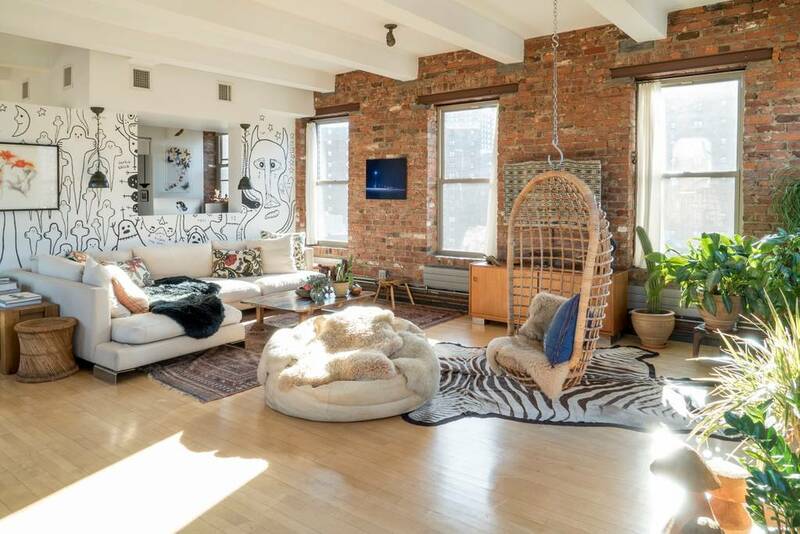 It’s one thing to have an exposed brick wall in New York but it’s another to have an exposed stone one! Do you know how good that’s going to look to your followers? And what about that old piano with the front taken off? 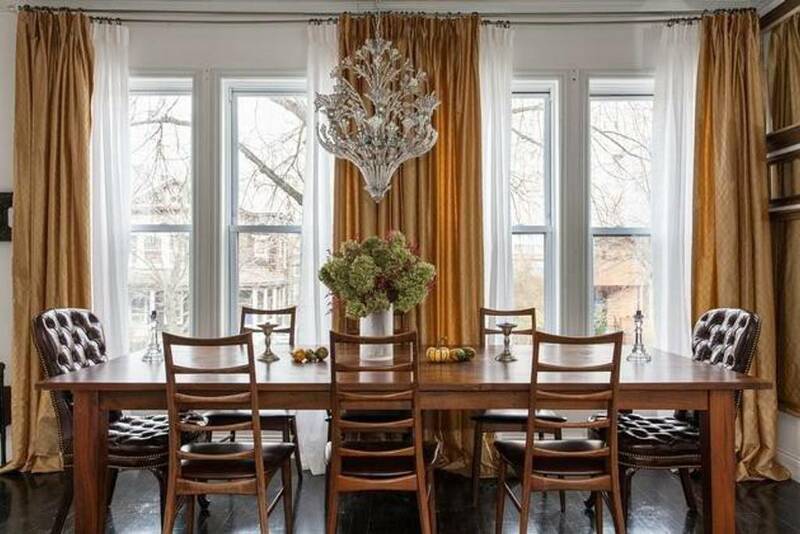 And admit it: When you get home, you’re going to take down the light fixtures in your kitchen and replace them with Bell jars. 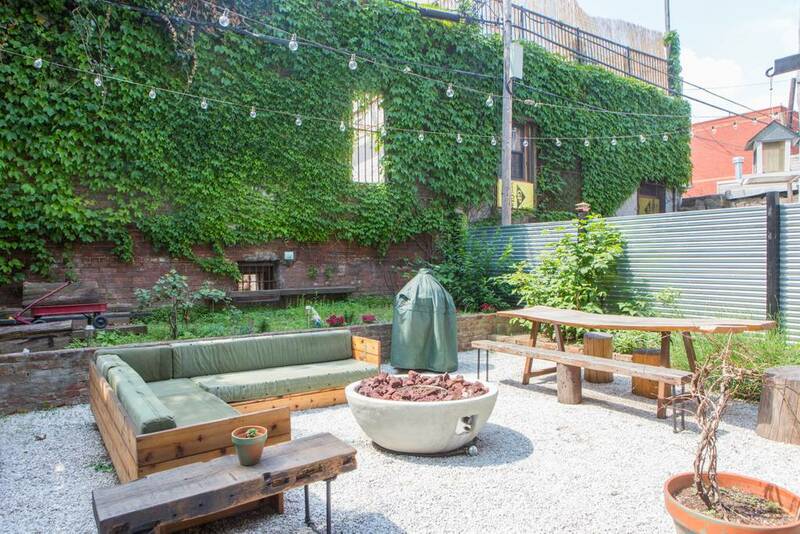 This professionally decorated duplex apartment is right in the middle of fashionable Williamsburg and has an enormous outdoor area with a garden, outdoor seating and a BBQ, not to mention the cutest outdoor lights you’ve ever seen. 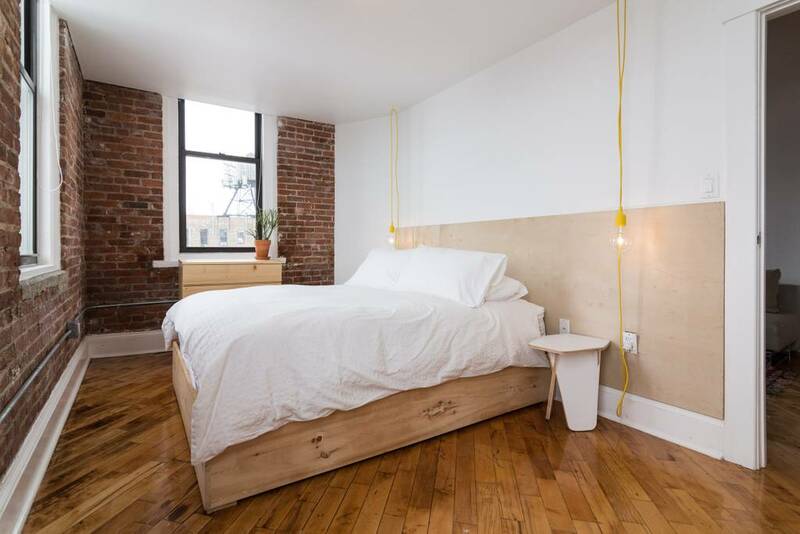 With two bedrooms and two baths, this Brooklyn Airbnb sleeps six, making it a great place to rent if you’re traveling with kids. 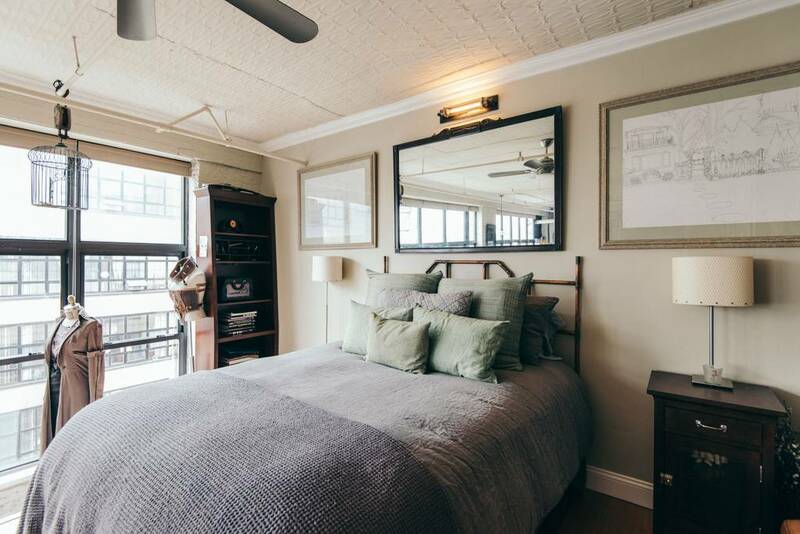 Just steps away from the “L” train, you can be in the city in minutes, although you might want to just order food and stay put with a place like this! Traveling with a bunch of other influencers? 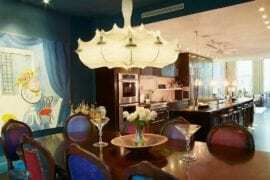 This is the perfect place for your New York vacation! 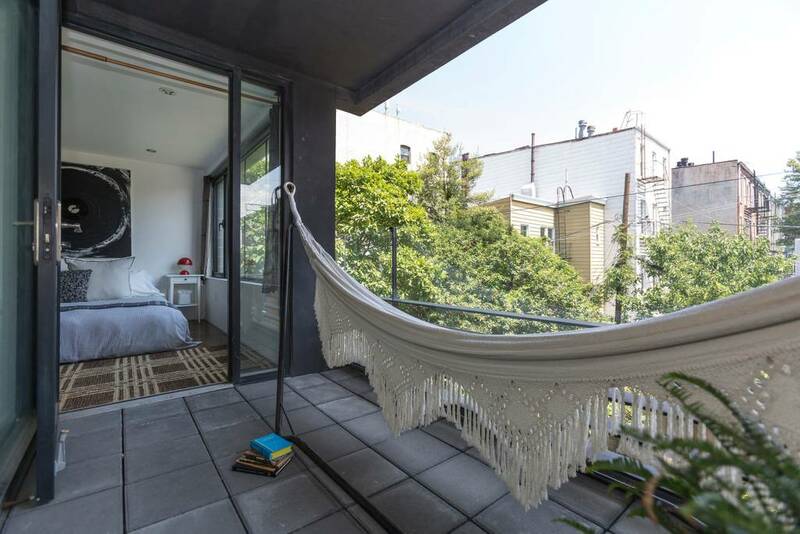 With five bedrooms and three-and-a-half baths, this Brooklyn Airbnb sleeps up to ten so you and your fellow influencers have more than enough space to do your thing! Located in the Clinton/Ft. 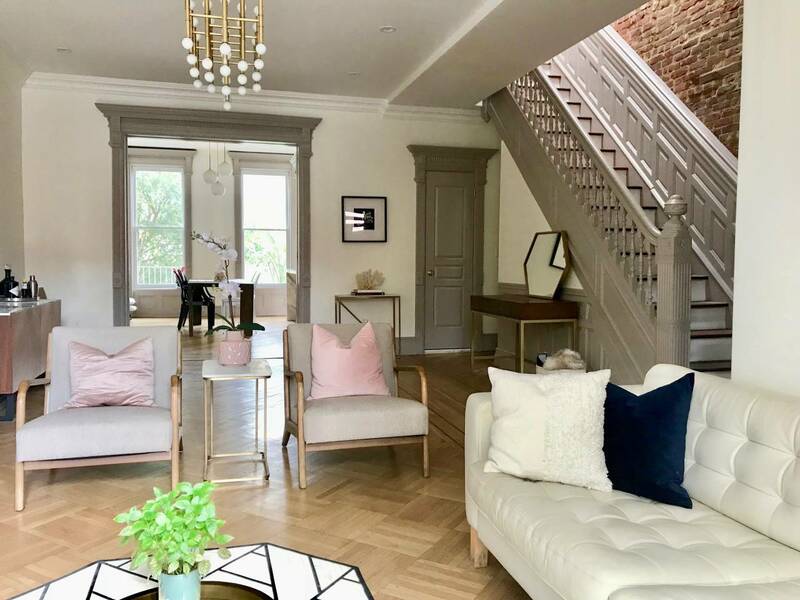 Greene area, this elegant space has a marble fireplace, stunning wood floors, an insanely beautiful staircase, a huge master bathroom with a giant tub, and a gorgeous backyard area. 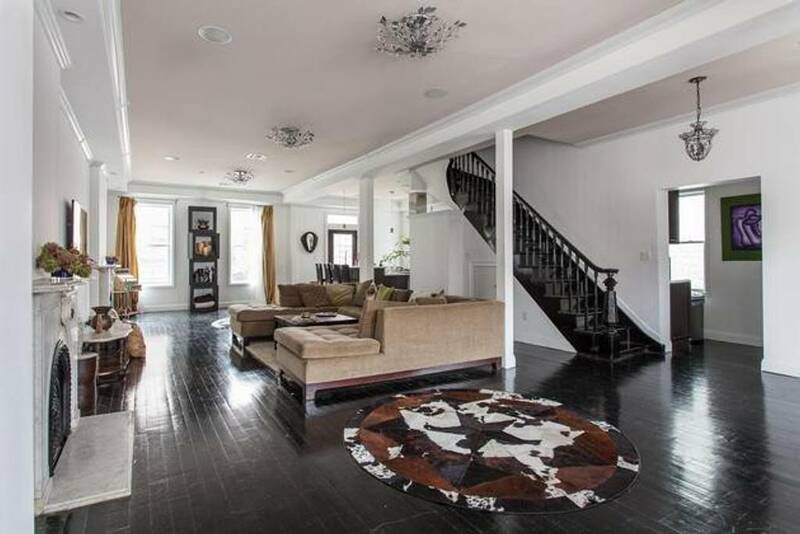 There’s an enormous living area on the first floor (great for drinks at night! ), wifi (so you can post those sightseeing pictures easily), and a washer/dryer so you can look great while you’re there. The dining and bar options in this area are endless, but just to name a few favorites, we love Karasu for ramen, Habana for great Cuban food, and the neighborhood standby, Walter’s where you can really get to meet the locals. Just imagine the influence you’ll have after this trip!